When a guitarist carries as much esteem as Metallica’s Kirk Hammett, you’d think they would be content sticking to the signature tone they developed years ago. But, just like us lowly mortals, the guitar god still tweaks and adjusts to his tastes, forever chasing the sounds he has in his head. And to that end, what better way to completely and accurately express yourself than by creating your own effects pedal company? With the introduction of KHDK Electronics, established by Hammett with his old friend and music industry veteran David Karon (with the founders’ initials, KH and DK, forming the name of the company), Kirk has been able to tailor the circuits of his vintage go-to effects to suit his own personal tastes. What’s more, he’s creating something unique to be enjoyed by guitarists of all genres — not only metalheads. Recently, we were fortunate enough to chat with Kirk about KHDK, and ended up gaining a whole lot of insight into his creative vision, the versatility of his pedals, and his hopes for KHDK’s legacy. “I put out a pedal company mainly because I just wanted to make stuff that I wanted to make, you know? 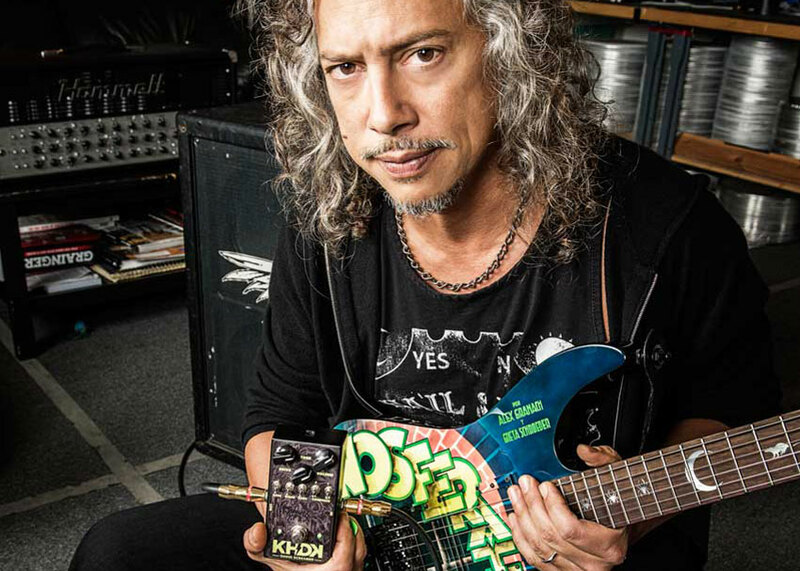 I wanted to also just expand upon other stuff — time-honored stuff — that I’ve been using for years and years,” Kirk Hammett explains about the genesis of KHDK Electronics. What started as just a simple conversation between two friends, KHDK has now become a full-fledged reality. 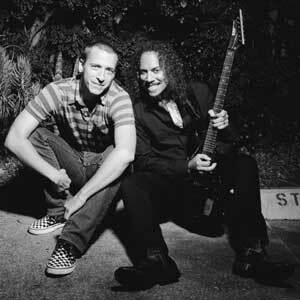 KHDK co-founders Kirk Hammett and David Karon. The vision of KHDK is a relatively simple one: opening up the possibilities of great vintage effects and tweaking circuits here and there to ultimately create unique pieces of gear with unmistakable tones. 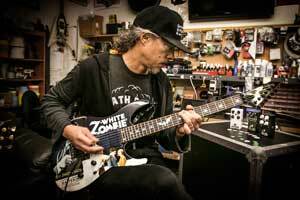 “My main intention was to just hot-rod a Tube Screamer and it just went from there,” Hammett said. Manufactured inside a family-owned factory in Paducah, KY, KHDK’s current lineup includes three pedals: the No. 1 Overdrive, the No. 2 Clean Boost, and the Ghoul Screamer Overdrive. The No. 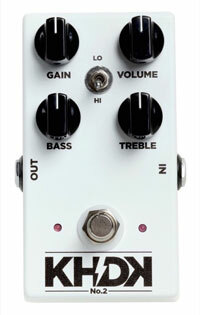 1 delivers an organic, tube-like overdrive that is powered by their own unique, proprietary circuit. There’s a Hi/Lo switch that’s tied directly to the gain, offering different levels of gain structure and compression. The No. 2 boasts a clean boost moniker, but is also capable of coloring your tone with some on-board dirt to maximize the harmonic content of your favorite tube amp, and also includes a similar Hi/Lo switch. These first two pedals also offer a distinct feature: a bass control that not only affects the low end of your signal, but is also tied directly to the gain stage of the pedal, offering even more bass and low-mid saturation. “Well you know that’s something our engineer Antonin [Salva, KHDK’s chief engineer] came up with — a brilliant idea,” Hammett said regarding the Bass knob gain feature. 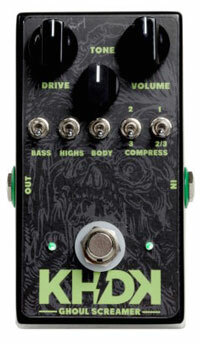 The third pedal in KHDK’s line, the Ghoul Screamer Overdrive, boasts the most versatility of the three. Besides the standard Drive, Tone, and Volume knobs, this compact pedal also features five switches to further tailor the tone to your tastes. The Bass switch enhances the low end, the Highs switch expands the upper limit of the tone pot for enhanced brilliance, and the Body switch gives your tone some resonance for a punchy, tight midrange. 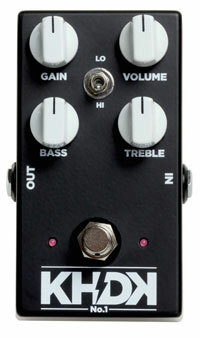 The Ghoul Screamer also includes two Compression switches from which to choose three separate compression settings. Having such a versatile pedal in the line was significant for Hammett. So then, what kind of guitarists are being targeted by KHDK? 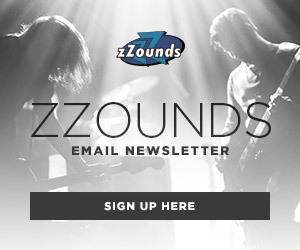 “We’re trying to put these [pedals] in as many guitar players’ hands as possible,” Hammett said. “I just got a copy of the new Gojira album and I’m very psyched to hear that, because they are using a couple of our pedals on the album. And Hammett truly does see KHDK pedals as tools for any guitarist. In fact, he recently sent some KHDK pedals to Davey Johnstone, best known as the guitarist for Elton John. With three solid pedals under their belt, what lies in the future for KHDK? “All sorts of stuff,” Hammett said, succinctly. On the near horizon for KHDK is the release of the Scuzz Box Fuzz pedal, building upon the tonal foundation of vintage fuzzes that Kirk loves to hear. In fact, Hammett admitted that the first thing he plays on his Scuzz at home is the riff to “What is Life” by George Harrison. Kirk has some fun with the Scuzz Box. Throughout our conversation, Kirk repeatedly expressed his joy over what KHDK has already accomplished. “I have to say, it’s been amazingly satisfying to me. I didn’t think that I would have as much fun with it as I’m having,” he said. 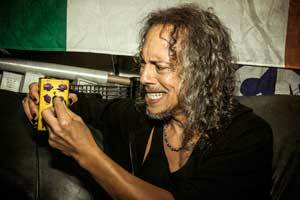 Hammett said he wants KHDK to become known for their pedals’ unique sound, similar to how the musical world changed when the wah was first introduced. Kirk plays with the current lineup of KHDK pedals. We concur with Kirk, knowing full well that the thrill of the chase is almost as exciting as the prize itself. So, pick up a a KHDK pedal for yourself and experience the satisfying chase for tone that these wonderful pedals have to offer. 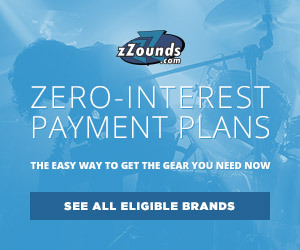 With such a diverse scope of excellent sounds, you might not have to chase too long to find what you’re looking for.